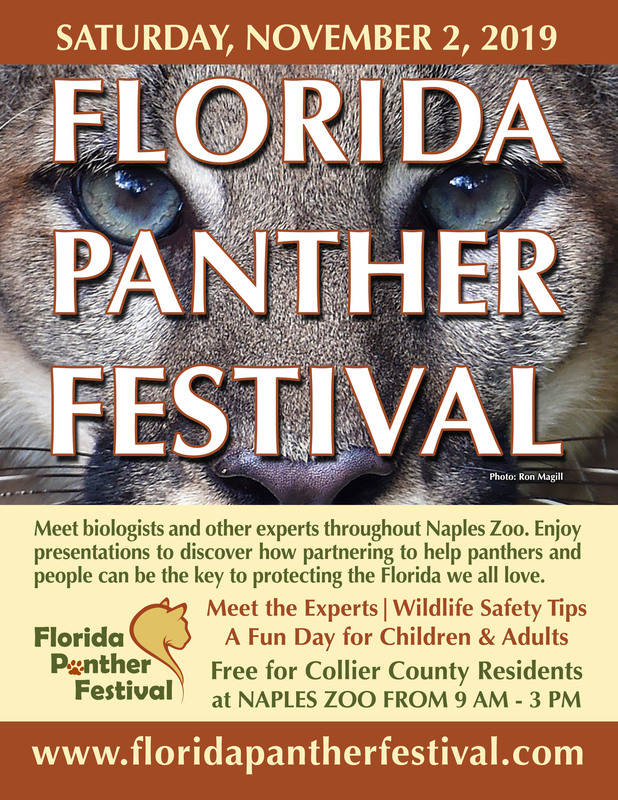 Become a 2019 Florida Panther Festival Sponsor! In addition to our natural partners who insure the success of the festival through staff, resources, and in-kind support, we could not achieve our conservation goals without the cash and in-kind sponsors. Download the sponsorship packet to see the benefits for both you and Florida panthers! Our Thanks to 2018's Cash/In-Kind Sponsors! Meet Our Natural Partners from Last Year's Festival! Along with formal presentations and scheduled talks at native wildlife exhibits, the Florida Panther Festival is a great place to meet the people and learn more about the wild places to enjoy in south Florida from a host of natural partners. If your organization or business is interested in hosting an educational exhibit at the Florida Panther Festival in 2018, please contact us. Please note: Sales of any kind are not permitted at the festival. Become a sponsor and help Florida panthers!